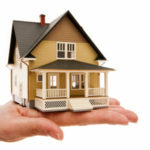 Most, if not all, homeowners should expect plumbing and water system issues to be a problem sooner or later. A toilet will clog, the kitchen sink may stop draining properly or the basement will flood; saturating the inner walls and weakening the foundation of the home. Any and all of these issues may happen at any given time. If one or more of these water system emergencies happen to you: this advice will help you when its your turn to experience a plumbing catastrophe. Sediment and other foreign particle buildup is a very common problem effecting your home’s water system pressure. Though a good cleaning of your faucets aerator will do the trick to remove the sediment, most professional plumbers will perform this task for a minimum fee. Natural and chemically based cleaning solutions will lend a helping hand in breaking up difficult or stuck particles. 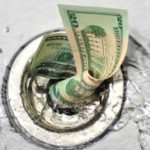 If you’re willing to risk not replacing the parts correctly and spending much more in plumbing fees to fix it; you can remove the aerator yourself and clean it. Materials for the task include: vinegar or another suitable cleaning agent, a wire brush and gloves. After removing the aerator, clean it of sediment and other foreign material, rinse the piece and replace it on the faucet. If done correctly, the water pressure should be stronger. 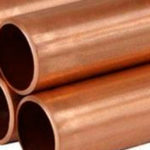 As water travels through metal, copper pipes they usually expand. The fittings holding the copper piping into place may not be able to hold them once hot water has passed through. Damage and warping can occur resulting in degradation of the pipes and eventually leakage into the surrounding wooden support grid of the house. 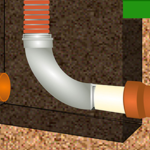 A simple solution any homeowner can perform to prevent this problem is to place suitable tape along the fittings of the copper piping. This should help maintain the integrity of the pipe and prevent insecure connections to the fittings. Regular maintenance and preventative measures are almost as important as fixing a plumbing system problem when it arises. Regular inspections of your floors around faucets and toilets is a good idea when checking for water system leaks. If the floor around your water devices gives or feels softer, there is definitely water damage that needs to be resolved. Applying pressure to the toilet and seeing whether it moves in any direction should give you an idea of where the floor is degrading. By performing simple inspections and precautions, you will save money and time avoiding inevitable water system problems.